You’ve totally got it under control. But, ya know, Sunday is notoriously harder than Saturday on the readathon calendar, deceptively so. You think you know what you’ve got left, you probably got a lot of reading done, and you’re feeling confident. But Sunday is the day when responsibilities that were neglected creep back in, the lethargy from sitting and reading can spell unexpected naps, and you might have trouble getting into that next book because you’ve had a good run so far. So give yourself permission right now to go to bed if you need to, take a break, get some sleep, and start fresh tomorrow. If you’re a night owl or if you’re not based on the east coast of the US (which is probably most of you), I’ve got another challenge for you. In the comments, leave a photo (or a comment) of your snacks or your stack of books for this readathon weekend. I want to see what’s on your TBR and your TBE (that’s To Be Eaten, obvi). Mostly I want to live vicariously through all of your yummy food and your pretty, pretty stacks. You’ve got until Hour 30 to enter (that’s six hours from now). #24in48 #24in48readathon hour 24. Here in Finland, it's late Sunday morning, so for me it's a strawberry banana pb smoothie alongside my current reads. I posted my TBR to my blog, the link is on my Twitter! . 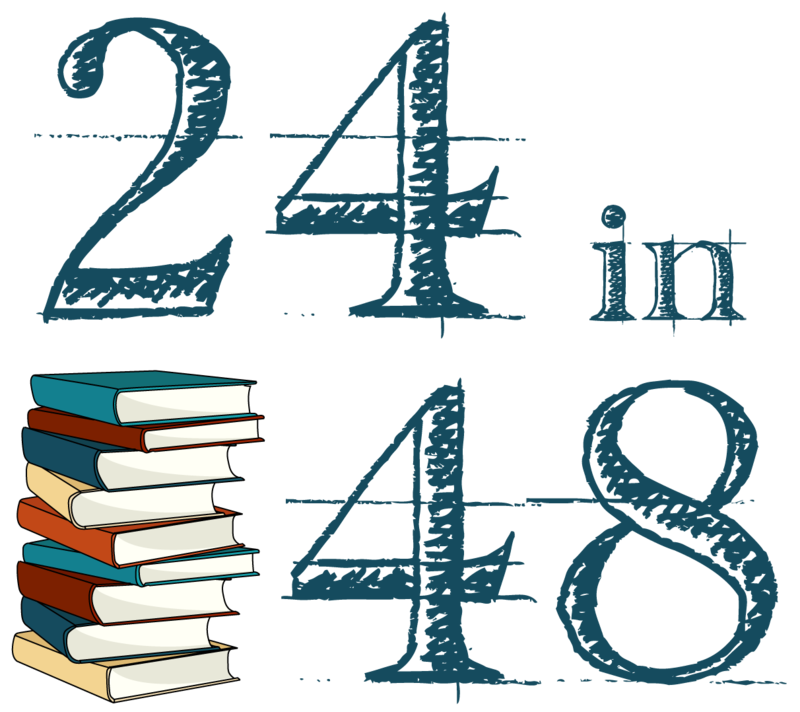 . .
My TBR for July 2017's #24in48 Readathon! Oh! And THANK YOU for announcing me as a prize winner! I am sooo excited! Thank you thank you THANK YOU!! !